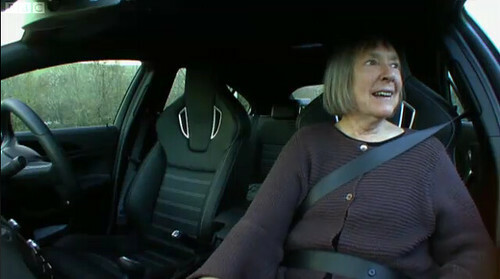 Last night, UK television viewers were treated to a little piece of living graphic design history – Margaret Calvert appeared on Top Gear, the BBC’s long-running car show. 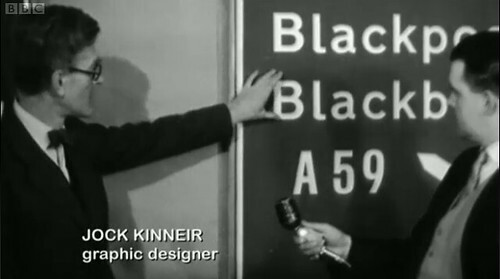 Regular Eye readers will know about her work alongside Jock Kinneir as part of Kinneir Calvert, the design practice that masterminded the British motorway and road sign systems (and much more) in the late 1950s and 60s. See ‘A design (to sign roads by)’ in Eye 34 and ‘Britain’s signature’ in Eye 71. 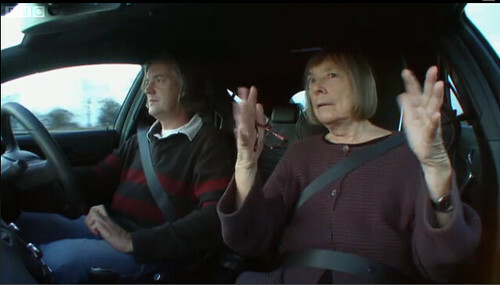 James May, co-presenter with Richard Hammond and Jeremy Clarkson, takes her for a spin in a new car (a VXR from Vauxhall’s ‘turbo-Asbo-nutter’ range). They chat about design issues such as lettering and legibility. 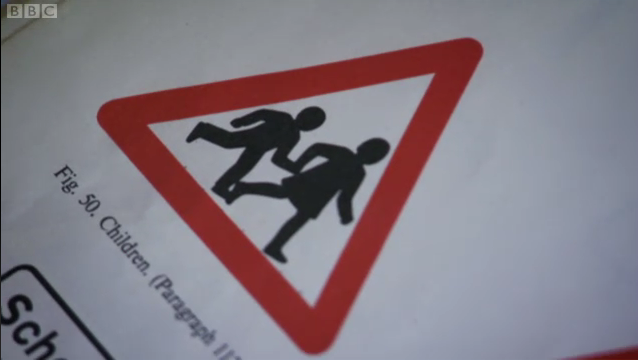 They pause for tea and talk about more signs, such as ‘children crossing’ (top): Calvert explains that the image of the girl is based on the way she looked as a child. 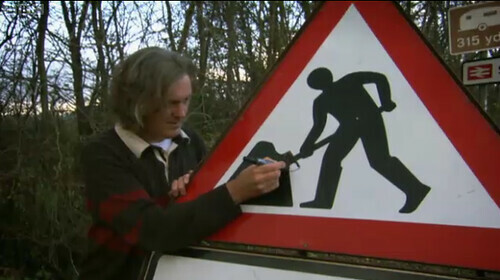 There’s also a bit of business based on the old ‘men opening umbrellas ahead’ joke: May attempts to amend the all-too familiar roadworks sign under Calvert’s reluctant supervision. She’s not particularly impressed by his handiwork. Or his driving. Or the car, actually. But Margaret’s a TV natural. You can see the whole episode of Top Gear, series 14, show 7, on the BBC’s iPlayer. 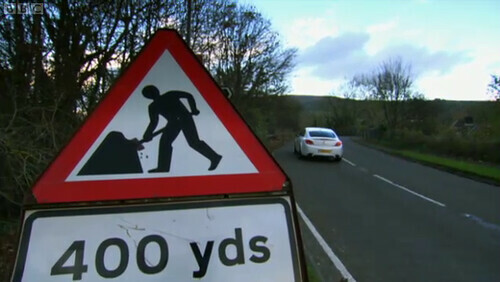 The Margaret Calvert segment is from 44.25 to 50.45 (thanks to @dansumption for iPlayer tip).